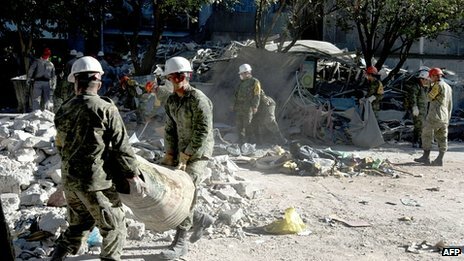 On Friday 1st February there were two bombs in Mexico.They both went straight through a building and 40 people got killed and a hundred people got injured. The damage to the building was very bad and there were lots of fireman and police and ambulance crews trying to help. There were lots of people losing their families and there were lots of people still waiting to be found in the building.